SUMMARY: Mulder’s big plans for Valentine’s Day have to be changed after a car accident lands him in the hospital in California. DISCLAIMER: As if you didn’t know by now. Just for fun. Not for profit. ARCHIVES: Written for VS10, Valentine’s special. After two weeks it can go just about anywhere as long as you let me know. SUMMARY: Mulder has a special Valentine’s Day planned for his partner, but you didn’t expect that to go well, did you? RATING: PG for several choice metaphores, lots of affection, romance and general goofyness. Stuff happens. SUMMARY: Uh well A reunion , a gift, and a cosy weekend of planned romance in Cornwall, rustic charm, Best laid plans etc etc..
SPOILERS: FIRE and The PILOT. SOME MYTHARC eps. 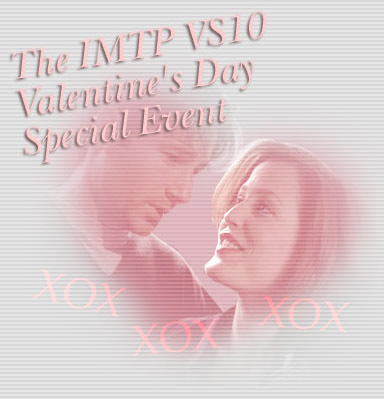 ARCHIVE: 2 weeks exclusively on IMTP VS10 after that my website and anywhere that would want it..
SUMMARY: Scully has a secret admirer. DISCLAIMER: Mulder and Scully belong to Chris Carter and 1013 Productions. No copyright infringement is intended. SUMMARY: When the holiday of love turns into the holiday of death. DISCLAIMER: Scully, Mulder, and Maggie Scully – and all the Scully clan – belong to 10-13, Fox, and CC. 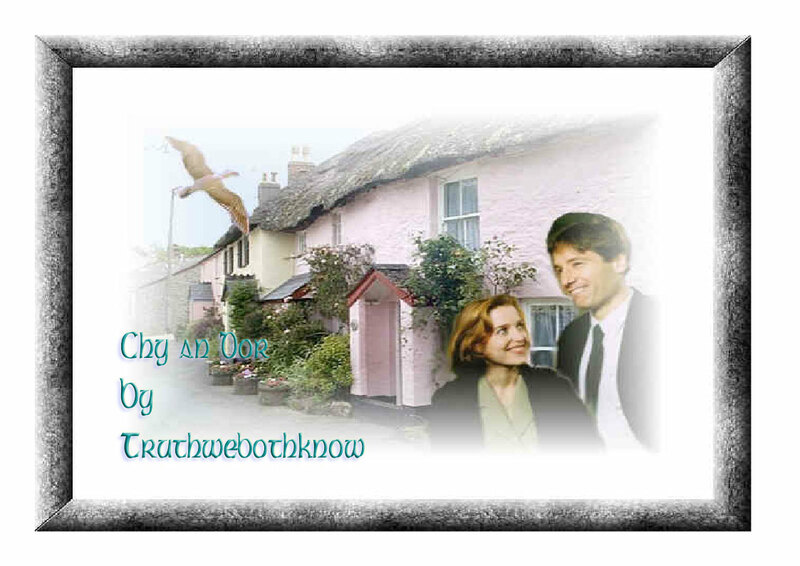 SUMMARY: Mulder and Scully spend a romantic holiday together.